Ben J. Pascuzzi and Peter J. Berlingieri have been serving clients from across Canada, the United States, Europe and Asia for the last several years while always remaining active in their local community. 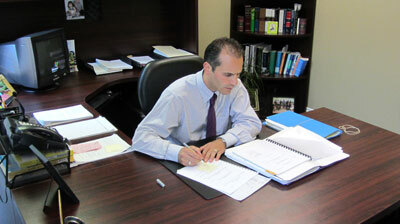 Pascuzzi and Berlingieri Law Firm LLP has been in existence since February 2004, however, Ben and Peter have been practicing law since their call to the Ontario Bar in 1999. Pascuzzi and Berlingieri Law Firm LLP is complimented with a team that is experienced, competent and supportive in all aspects of the day to day goings on of the Firm.